I have been tackling with this wardrobe for the past month. 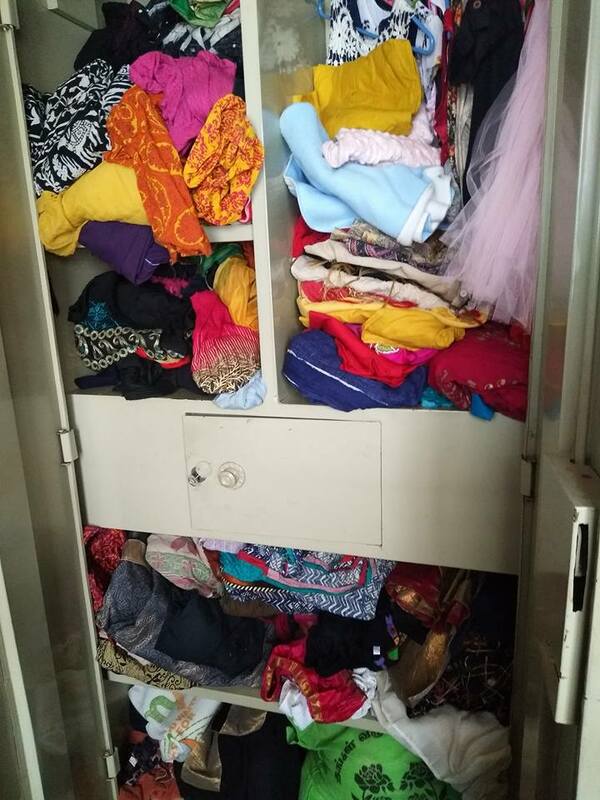 Each day when i open up wardrobe to pick my dress(which is a absolute struggle guys) my total mind gets collapsed and the whole day will be a chaos. If your wardrobe is clean you can choose your dress pretty quick and you will be feeling motivated when you look into a organized wardrobe. But i have been tackling with this MESS for the past month. Being a super busy mom with a school going kid & a 8 month baby, it is really hard to find sometime to organize this. But yesterday i decided to get into action. After i dropped maha, i put mahi to sleep and got into action. 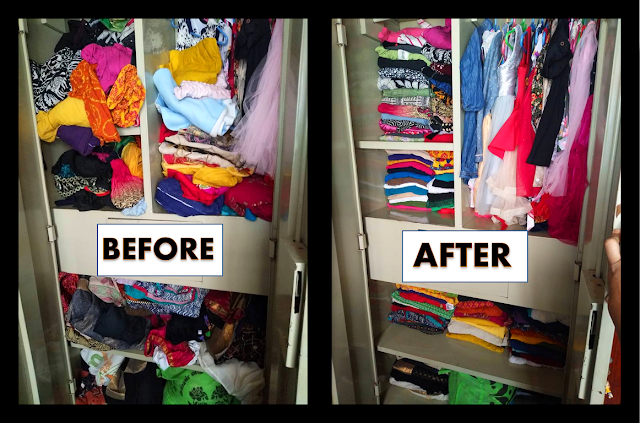 1)First i purged through my clothes and got rid of the dressed which i will never wear again. 2)Disposed clothes which are stained. 1)I put my nightwear, nighty, night dresses, pants, t shirts in the top. Because those are the clothes which i will be wearing daily. 2)Leggings & Patiala Pants separately in the second rack. 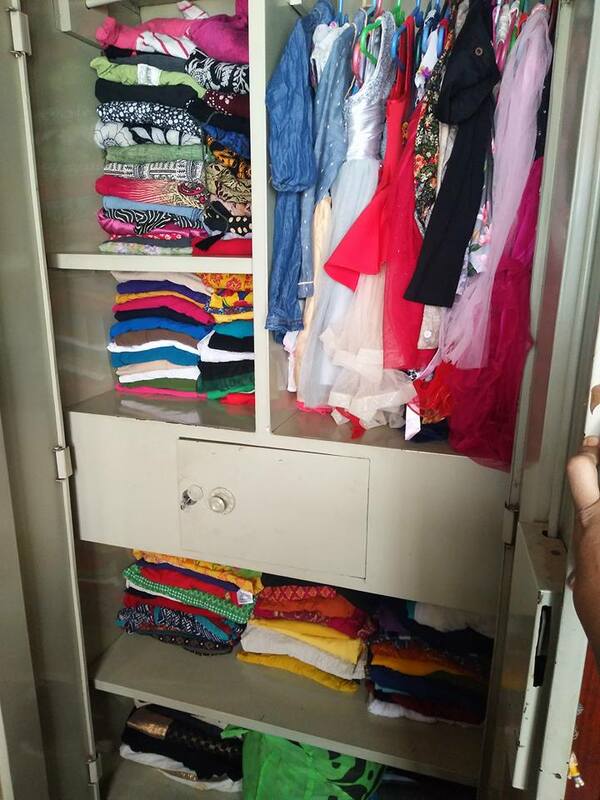 5)In the bottom most rack, i placed all my salwars and party wears which i wont be using daily. 6)I put all of maha & mahi's party wear frocks in the hanger. Now my mind is clear & my wardrobe is clean. NOW IT IS YOUR TURN. GO & GET YOUR WARDROBE ORGANIZED! Little Tutu Trying to Stand Up!